Jerome is a fascinating old mining town hosted within the hills of Yavapai County. People have inhabited these hills for thousands of years, but the history of mining dates back to the late 1800s. Lets take a closer look at the history of this lovely mining town. In its early days, between 700AD and 1125 AD Jerome was occupied by the Hohokam people who were the first people to have settled in the area of Jerome. And while they didn’t actually mine for copper, they certainly knew of its presence in the area. With the passage of time the Hohokam tribe was joined by other Native American tribes, who only used the reddish ores around present-day Jerome to obtain pigments which provided them with various colors to apply on themselves, their clothes and blankets. There were many men out prospecting throughout Arizona by the mid-1800s. They came from around the world. Many of them first came to America during the California Gold Rush and then ventured out when they heard of the gold strikes in Arizona. 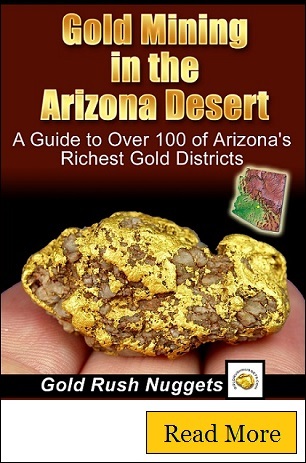 Their primary interest was gold, and they found plenty of it in central Arizona. By the year 1875 the first mining claims were put in place together with the site for the mill in the vicinity of Jerome. The town was established right below two large hills which were later referred to as Cleopatra Hill and Woodchute Mountain. The reports also reveal that United Verde Copper Company bought the mining claims under the leadership of Frederick Tritle. It was after the establishment of the camp that the name Jerome got attached to it. It is said the town was named after the man called Eugene Jerome who was behind the financing of the United Verde Copper Company. By 1883 and 1884 the production of copper was commenced in the area after a small blast furnace was set up. However, the operations to produce copper did not last for a long time. As a result, in 1887 the mining activities were shut down, which led to the selling of a huge chunk of the property to William Clark in 1888, who began running his own profitable business. Clark had extensive copper mining experience as one of the largest mine operators in Butte, Montana. In no time, the mining operations were on the rise, resulting in the discovery of new ore bodies, establishment of new smelter and a narrow gauge railroad which connected with the main line. After some time, in order to manage the ore that was extracted in Jerome and its surrounding places, the smelter towns such as Clemenceau and Clarkdale were established with good standard gauge railroad. At this point, Jerome was at its peak with the mining operations in the 1900s, and this attracted over 30 diverse nationalities in the area leading to the population increase of about 15,000 people. Unfortunately, not all days were Sundays in Jerome,. Huge fires swept through the town soon as many as five separate occassions. To make matters worse, the town did not have sufficient water supply at that time. Subsequently, the fire challenges prompted the inhabitants of Jerome to request for the incorporation of the town, and in 1899 their request was granted. After the council was put in place a fire district was established and a building code was also activated. All these were specifically designed to minimize the breaking out of the fire. Hence, with the right measures employed in the town to improve the mining operations, Jerome continued to record successes until the high quality ores were depleted. Like in many towns characterized by mining activities, Jerome’s environment was negatively impacted especially the vegetation which was dying out due to the fumes produced from smelters. With the major ore bodies being depleted times got hard in Jerome. By 1953 the mining operations were shut down, leading to the reduction in population to as few as 100 people by the late 1950s. Eventually, even the various building structures were demolished. Jerome is now an attraction to many visitors, who usually come to the area for recreational purposes rather than mining. The town is no longer actively involved in conducting mining operations, but the history of the old mines can still be seen throughout town. Unlike many mining towns, this is far from being a ghost town. There are now wineries and other interesting things to do and see in Jerome and it is a very popular place to visit. For the mining enthusiasts there are lots of fun things to do. You can take a ghost town tour and have a guided experience throughout downtown Jerome. You can also take a tour of the Gold King Mine and see the old workings. 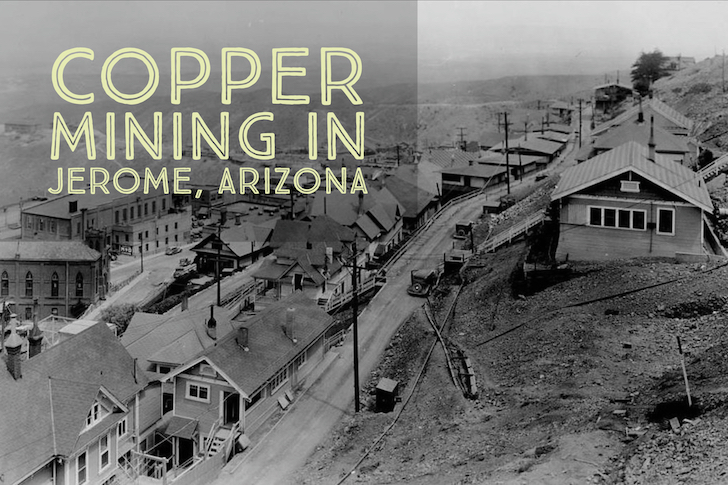 There are many different businesses in town that cater to tourists interested in the history of this amazing Arizona mining town.